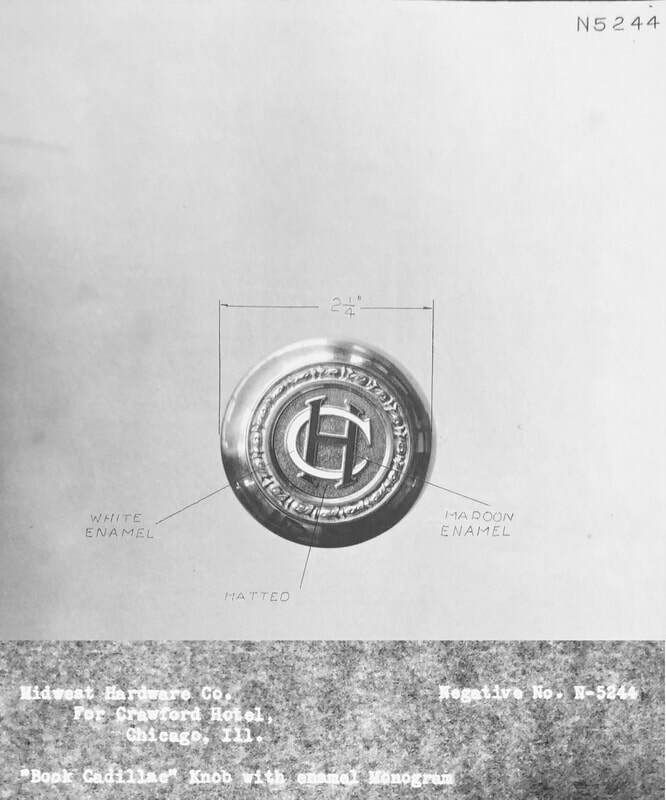 From Crawford Hotel, noted in a copy of a Yale & Towne factory ledger book. 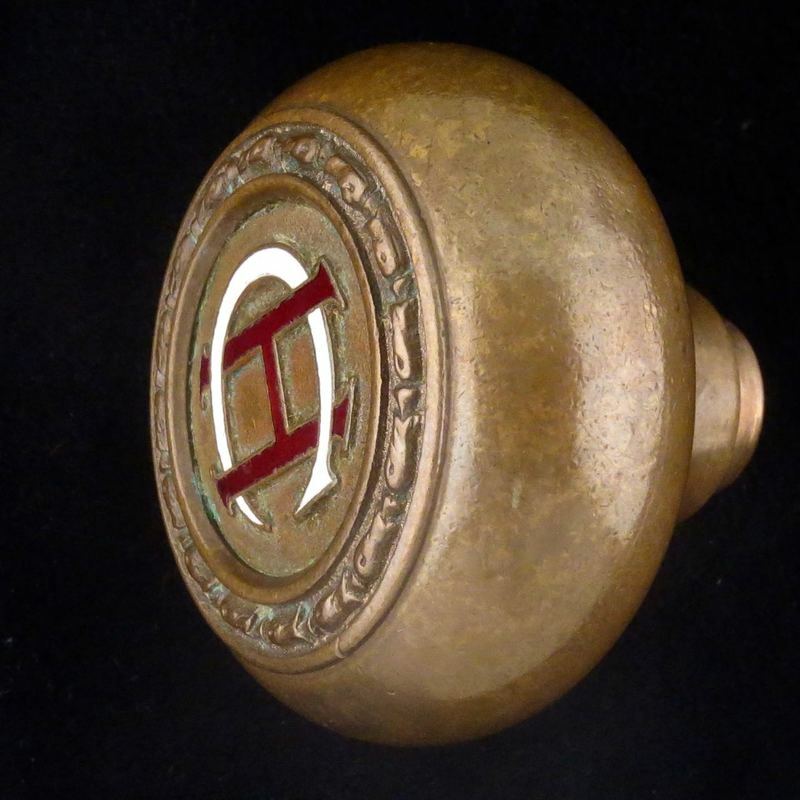 Same type of enameled knob as used for the Book-Cadillac Hotel in Detroit, MI. The same knob as P-20020 but with a simple CH in place of the Cadillac emblem.